This sleepy musical adaptation of the 2002 film is aurally pretty, visually underwhelming, and mostly dull. Justin Scott Brown, Steven Pasquale, and Kelli O'Hara in Far From Heaven. The team from Grey Gardens is back at Playwrights Horizons with another musical adaptation of a film beloved by the gays. With a book by Tony winner Richard Greenberg (The Assembled Parties), Far From Heaven is based on the Academy Award-nominated 2002 film by Todd Haynes. While songwriting team Scott Frankel and Michael Korie and director Michael Greif might have struck musical gold with the Beales of Grey Gardens, Far From Heaven proves that not every work of filmed homo-Americana sings equally well. That's not to say that the music in Far From Heaven isn't pretty; it is, especially when performed by a gifted vocalist like Kelli O'Hara, who stars. However, much like 2005's The Light in the Piazza (in which O'Hara was also featured), the score just doesn't go anywhere. Frankel and Korie blitz the audience with a barrage of dreamy and reflective songs with complicated harmonies, but rarely do those numbers reach a boil or satisfying resolution. If you loved the music in Piazza, chances are you will also love Far From Heaven. Just don't expect to remember any of it when you leave, much less be able to hum it. Set in Hartford, Connecticut in 1957, Far From Heaven is the story of upper-middle class housewife Cathy Whitaker (O'Hara). She has a husband, Frank (Steven Pasquale), two kids, and a maid (Quincy Tyler Bernstine). Everything seems perfect, like a Norman Rockwell painting, until Cathy decides to surprise Frank with dinner at his office late one night and discovers him making out with another dude — surprise is on her! Things slowly begin to unravel from there and Cathy can only find comfort in the arms of her African-American gardener, Raymond (Isaiah Johnson). Unfortunately, it's still the '50s in Connecticut. So what is a white woman in love with a black man but married to a closeted gay man to do? Every inch of O'Hara exudes the WASPy perfection needed to play Cathy. She is the ideal housewife who has done everything right and takes every setback with gentle resolve. Still, her life is falling apart. You really feel sorry for her. Pasquale brings a forced masculinity and over-the-top toughness to Frank. It works well with the aggressive brass and percussion songs that Frankel and Korie have written for him. He seems like a lot of closet cases I've known. Isaiah Johnson is sweet and charming as Raymond, but unfortunately there doesn't seem to be much chemistry between him and Cathy. There also doesn't seem to be much danger to their relationship, despite the dirty looks they get from the chorus. This lack of dramatic tension derives from the sleepy score. At one point, a bass note hangs between Cathy and Frank as they stand on the precipice of a massive confrontation, unsure of what to sing next. Thrilling and suspenseful musical moments like these are few and far between. The music mostly just blends together. This would be alright if there was something interesting to look at on stage. The 2002 film was memorable for its explosion of color in every frame — a style reminiscent of Douglas Sirk. This vividness seems particularly suited for the stage, but unfortunately Allen Moyer's drab but utilitarian set overtakes the production. It's mostly black and brown, cold and metallic like the interior of an abandoned industrial warehouse. Peter Nigrini has covered the upstage wall with flat-screen video panels of various sizes in rectangular frames. Most of the color in the show comes from these. 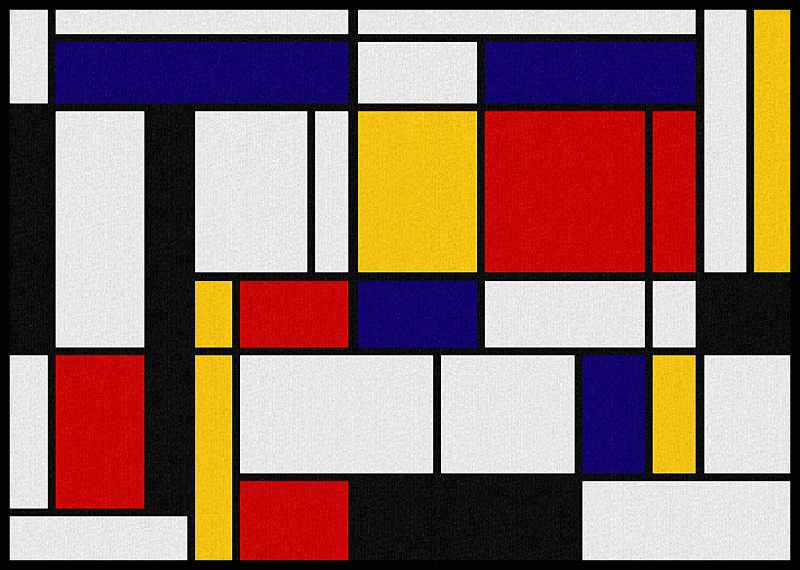 They display imagery meant to convey a certain space, but usually only in patches, making the back of the set look like a giant Mondrian painting. They also animate during transition scenes, like driving or flying. The screens work overtime here, but it's not enough to create an eye-popping visual effect. (Most of us look at screens all day, so real set and costume pieces with color are always more arresting.) Projections and screens are great in the theater, but they can't do it all alone. Greenberg hews remarkably close to the original plot and that is a good thing in that it maintains the thing that sets Far From Heaven apart from the myriad gay dramas that are released on film every year: The story doesn't focus on the trials and tribulations of Frank as a closeted gay man but the effect his closet has on the people around him, the innocent bystanders who never asked for a gay husband or father. O'Hara really sells this theme, especially in her 11 o'clock number "Tuesday, Thursdays." Her whole body conveys the pain of living a life based on a lie, and living it to perfection. Unfortunately, it is a long slog to get there (the show is 135 minutes), so you may want to drink a cup of coffee before you head into the theater.